DreamTrips Travel Club, What is it? 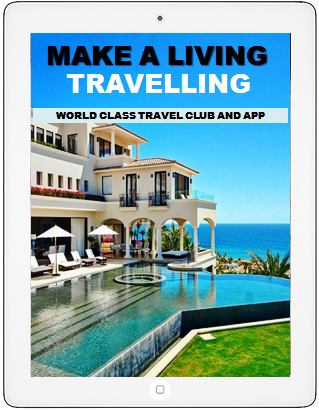 I wrote this Article for Impacta Magazine and felt you too may benefit from this Detailed Review of The DreamTrips Travel Club and the vision and ethos behind it! Sharing is caring and when you enjoy a great service, an awesome meal, that cool gym. OR on the flip side you hate it and swear to never use that product or service. What do you do? You tell a friend, you share right? Today we are lifting the veil on this so you too can see what the hullabaloo is all about! One of our new friends asked; what the heck is a Dream Trip and which travel agent is that anyway? You too may have heard the Hoohah about a DreamTrips Club right? There are also quite a few options when it comes to types and variety of travel or vacation clubs, agents and providers. Expedia travel, Travelocity, Google Flights, Solo Travel, Hyatt Club, Marriott Club, Mile High Club, road trip travel, Hilton Club etc. What about DreamTrips travel Club? Have you heard of it? SIMPLY CLICK HERE AND NEVER MISS AN EPISODE. While You are there, Please Do Rate it if yo do Get Value, So others can Find us easier! What is DreamTrips travel Club? We are sure you have seen the signs somewhere online or on social media! Question in many people’s minds though; Is the DreamTrips Travel Club Worth it for the world traveller? Whether for pleasure business or annual family holiday? Well…. It’s about time we share our personal research, experiences and why we chose this club over other options. We dive into a detailed, in-depth, users Review of the DreamTrips Club. Be sure we always give a fair balanced view of whatever products we test and use, the good, the bad and downright ugly, you are gonna hear it! I must say we were intrigued coz Paul’s company use the Marriott Vacation Club and they pay a pretty penny for that. Most Vacation Clubs are pretty expensive or so we believed! So we went with the mind-set that it must cost a fortune. Or its best for corporate execs and companies. We enjoyed the presentation it was very smartly done. Then, like many, we gave the usual excuse! We would go home and think about it…We started to notice more about this DreamTrips Club all over social media! Funny because we hadn’t noticed it before…Guess its all to do with #lawofattraction, Search engine re-targeting, or we were more Aware! Marriott Club Joining Fee $4,564, Plus $599/Month subscription and $1761/ annual maintenance…! Hilton Club Initial Fee – over $20k, plus $355/month subscription, & $1300/annual maintenance. Plus a plethora of extra fees too many to list! And more vacation clubs we found with similar fee structures, based on the timeshare model with mob Blackout days! So DreamTrips Offer of $249.98 Fee with no black out days AND NOT A TIMESHARE. Plus less than $50/month all given back to you dollar for dollar…Well kinda didn’t make business sense, in our minds! We dug a lil deeper! Paul’s a sucker for detail, very green. So we went on a search to learn more and see if this was for us & above board! Trust me we read some great stuff and some scathing things about the DreamTrips Club. We noticed a trend tough, there were reviews by/from People who WEREN’T members of this club and they almost always suggested some other product or travel service! That got us thinking: what do the product users have to say? So we dug some more. And so to balance the playing field, we are sharing this review from a user’s point of view. NOTE: Our views are strictly unbiased. We are sharing with you our experiences. The Great, the, Good, and Ugly if any, of DreamTrips Travel club, no hype! If you are a visual person and time is not on your side, you might like to watch this short 4 min view. The question we asked ourselves after looking at several posts both for, against and some downright weird. To say we were confused, would be an understatement. Could Over 300,000 People (at the time,) Be So Wrong about this DreamTrips Travel Club? Forget the images on social media, we felt those could be photo-shopped. (Again don’t judge.) See we thought maybe it was all hype. We purposed to find those people enjoying this product and learn about their experiences. Our research was what lead us to believe that Dreamtrips Club is not only above board, it is something our family and many others could enjoy too! So we guess you are curious…Yes? Then allow us to share with you what we learnt! Dreamtrips Travel Club – Some facts! Launched 10 years ago by Mike Azcue & Wayne Nugent, the DreamTrips club is a lifestyle company based in Plano Texas that promotes travel-related products. Members proudly refer to it as an elite travel club for ordinary people. DreamTrips seeks to help more people have more Fun, Freedom and Fulfillment, by creating unique travel experiences for members to 4 & 5 Star destinations at wholesale rates. As of very recent they have created a Travel App that’s super useful for the frequent or even Nuevo traveller! DreamTrips travel is powered by the award winning Rovia search engine which leverages the Rate-shrinker technology to offer members; price guaranteed vacations, unique travel experiences and flights. Their pledge is: If a member finds a similar vacation at a cheaper price you not only get a full 100% refund, you are sent on the trip free! (We have seen this in action, SEE IMAGEs BELOW.) On the other hand, if your flight price drops before you take off you are refunded the difference, pretty unique guarantee huh! 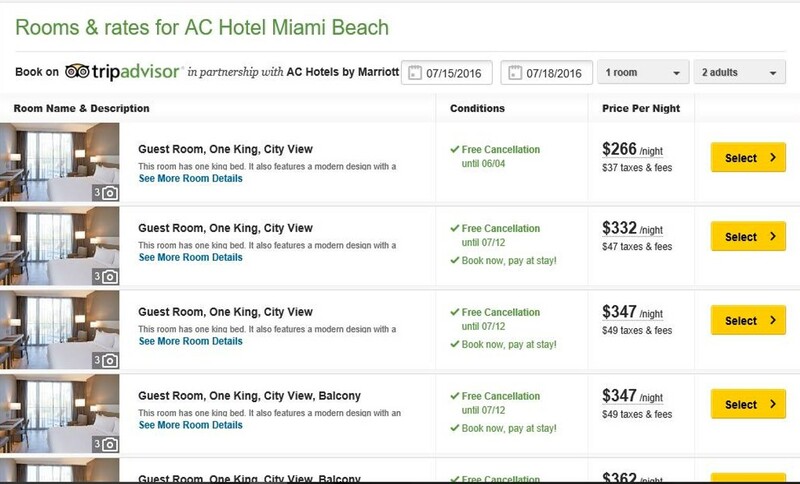 A Very recent Member’s search for a Hotel in Miami. TripAdvisor Rates that are also Expedia, Booking.com Travelocity etc. Way more than the DT Club rate per night! Members rack up travel points similar to Air Miles but way cooler, when they do their normal shopping. In fact they have access to amazing deals via an online shopping mall! And a private personal concierge…! What did that even mean, like a Hotel welcome party or something…? We were really warming to this concept by now. So we looked a little deeper, any recognition in the travel industry? We found that DreamTrips swept the world travel awards year on year and is a leader in the leisure travel industry. Indeed it’s a Leading Travel Club. A staple in Direct Selling News Top 50 & 100 and is the 6th fastest growing direct selling company in the world! NOTE: We were already frequent travellers, we’ve been called ‘Lifestyle Travellers,” so we felt that maybe we could enhance our travel and vacation experiences with this club! We absolutely love the excitement of planning for a new trip, vacation, flight, destination you name it! We wondered; what more we could get! So months after the first presentation, we watched a video presentation by one of the leading club members and industry leaders. We were blown away by the value he was getting and the amazing places he and his family had been. This man could pay Retail any day, he could well afford it…Thing is this is the trend. Smart savers and Entrepreneurs don’t pay retail for most things. Neither should you if you are reading this! Clearly every DreamTrip was designed to show you as much of the local area as possible, in pure luxury or great comfort and to ensure you have the best experience ever. All part of the service! Now Paul & I believe that life has an infinite number of adventures waiting for us, while we have breath. But we have a Finite Number of Days on this planet so what do you think we did? We said heck YES, Lets go for it. And lots of people taking vacations in double digits before the year was half gone, we wanted some of that too! 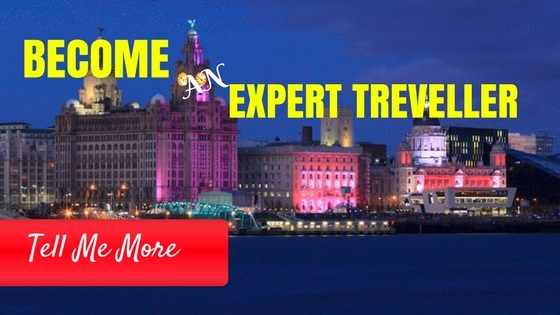 We are talking luxury travel; personal concierge, 5* hotels/resorts, luxury cruises at a steal, champagne breakfasts, adventure packages, limousine airport transfers…hosted group excursions. Tourism and travel at its best! And here we are, part of this community of really fun loving people…! So Who is DreamTrips Travel Club for? So DreamTrips Travel Club is for anyone who wishes to see more of the world within a community of other travellers, yet not bound to travel with them. It’s for those who wish to save on their travels, rack up some serious Frequent flier miles and Travel points, and save on even more travel! This is by doing your normal grocery shopping and/or eating out. Its for those who want some extra Health Insurance. Teladoc is a Free App & service for Members who need medical advice, diagnoses, and support. 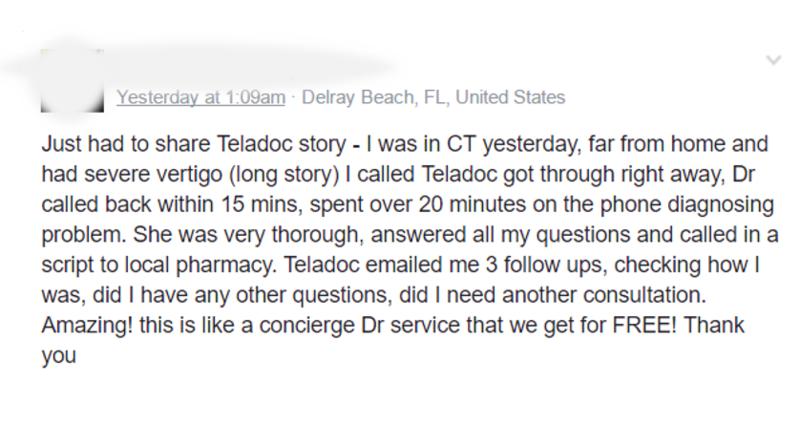 They call in your medical script to local pharmacies, email you the followup. This is like a Concierge Dr Service that is free for members! See a Member Testimony below! Dreamtrips Travel club is for you, if you love attending seasonal events in style and a heck of a lot more. This is travel Hacking and saving cash at its best, and if you have no clue what we are talking about read this article! It’s for young people, who want to see more of the world before they settle down. DreamTrips is for University students who wish to enjoy travel in better accommodation than a Hostel. And maybe even create a side income to tide over those Uni demands and debt! It’s for Couples who wish to see the world together and create some memories before they start a family! This Travel Club is for Families who wish to travel together and create amazing memories to live on into their twilight years! It’s for corporates who wish to enjoy their business trips without paying a fortune. Did you know that Companies which wish to get a better deal for their employees, and executives on travel, accommodation and flights acn use this option. It’s for Baby boomers & Retirees who don’t wish to be boxed in by age or its limitations and want to enjoy life even more, including with family, friends, grand kids if you have some! There is Dreamtrips Local for Hospitality business owners; restaurants, cafes, events organisers, etc. You can partner with this travel club to build an even more dynamic business and returns! And this is very exciting the DreamTrips Travel Club is for anyone who Loves to Travel FREE to 5 star locations! YES YOU HEARD RIGHT…FREE! Any member who loves to share and does so with abundant gratitude, Eats out on several occasions, Shops for groceries or whatever they need online in your usual way, will amass a large amount of Travel Dollars and guess what. You will end up going on your vacations free when you amass just 3000 points! Tell me which Airline or travel agent or platform gives you that? You would need hundreds of thousands of Air miles to get a city hopper flight on the house….And you will have paid for them anyways. This travel club simply rewards you for sharing with others who see the same vision as you! And boom Free Travel! We also know university students living a debt free life because they made a Decision to change! We find more pleasure in life’s little things because we travel. We are more tolerant and open to new things, to welcoming other people of the world into our lives! See there is always more to learn through travel, esp. for the younger ones! The community of travellers that we’ve met on various family trips have taught us to be more trusting, that all is well. So we enjoy our experiences more and explore the world around us freely. We have learnt to worry less about things, money, etc. There are lots of people out there so much less favoured. So why moan! When you look at a child in a slum, super excited about a better school made out of bottles…! You marvel at the sheer blessings you got! We believe that our journey as Dreamtrips club members is also having a lasting impact on our children. We continue to teach them about compassion and caring for others outside of our comfort zones. They both do a lot of volunteer and service work in our local community and we know that once they are 18 they’ll be able to go on their own adventures too. To interact and volunteer in other communities and cultures different from our own. We have faith that we are expanding their worldview and understanding of the basic similarities between people all over the globe. To be honest we have also had some not so great experiences along the way. Not directly related to the club, but on Dream Trips…It cant all be Candy and floss right! Things like holiday tummy…We ate some dodgy stuff in a local market, not part of the package! Some people are not always nice or tolerant in some destinations. We put that down to ignorance! Who Else is impacted by this Travel Club? One of the aspects of Dreamtrips Travel Club that attracted us the most was the Volunteer program. DreamTrips members have an opportunity to have a greater connection to care for others less fortunate in major life changing ways. This is social responsibility and we are big on that! Hug It Forward Bottle Schools – over 60 built to date. This is also eco-friendly. Cleaning up our environment, And recycling plastic in a unique and friendly way! Delivers schools and clean drinking water to numerous struggling communities in Africa, Asia, South America and Europe. A cause close to our hearts as we already work with water Aid! 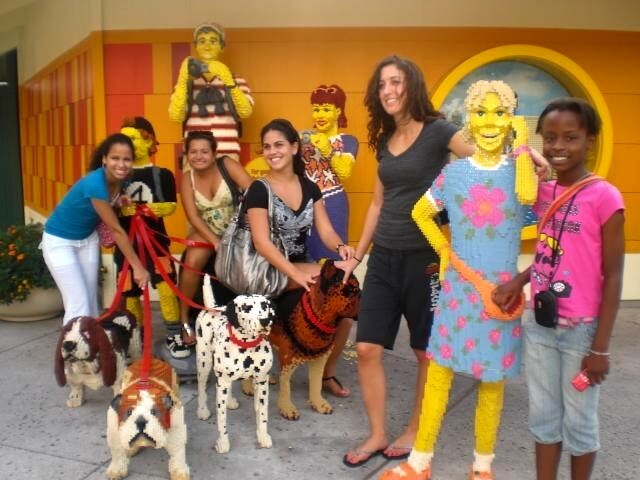 This club gives back in numerous ways and its called Voluntours! The vast majority of people, we meet in our travels are kind, generous and open-hearted. This makes us so much more grateful for the life we lead and the direction and opportunities we are afforded esp. through DreamTrips…This is Love in Action. “I just saw a very simple and fun platform that could help a lot of people to be free. Setting more people free is my mission in life, and I saw this as a perfect fit to achieve that.” – Max Tay, IMD. You see, all successful people see their future long before it happens. They take responsibility for their actions & create their own future. We made up our minds long ago to align with people with a similar mindset and love of this awesome planet. So we decided to travel for life, it’s a life mission! Can we just say that DreamTrips could be for anyone who loves to travel and save or even go free? But cest-la-vie, it’s not for everyone…Because lots of people think they aren’t worthy of 5* Travel. They think they cannot afford it and yes some definitely can’t! If you see the vision grab it, take a dream trip or 10 & see what kind of holiday maker you are! Believe in yourself and do it. You will never be able to imagine the rewards of living this experience. Important tip: stop looking at google as your source of reliable info or the news, they’re made to terrorize people. A 10+yr old company will surely have some news to be found! Heck even a new-born makes the news. Take a look at the royals or celebrity babies, and depending on who is writing it, it may not be very complimentary! Well Why Not? To us, this is way bigger than us. It is also so much more than a one-time “give it a try” experience. Making a positive social impact is how we choose to live our life. And fortunately this club and company leadership believes in Social Responsibility in a major way. Our desire is to touch as many lives as we can by sharing the warmth of a smile, kindness, and love with All we come into contact with and are open! Or through the membership. We count our blessings and share them with others. And that people should be rewarded for sharing their travel experiences…HOW! We all share our travel experiences good or bad esp. on social media. For most people that’s it, photos & memories! 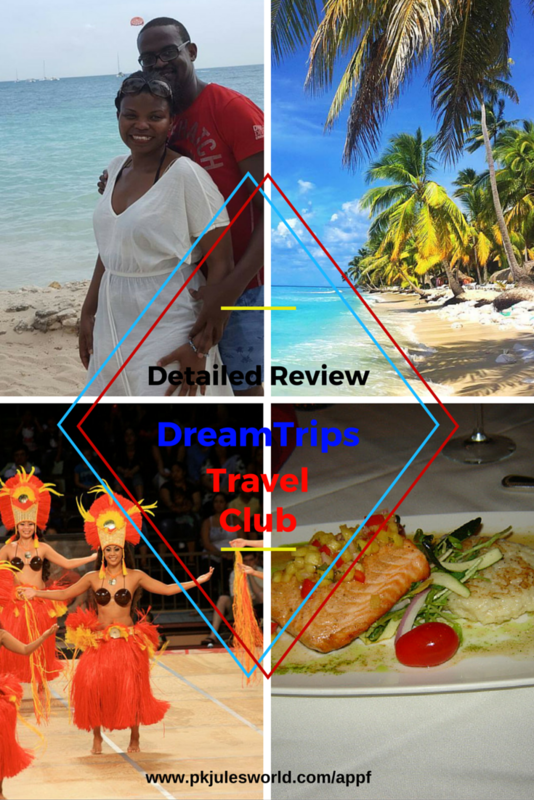 Well DreamTrips rewards members several ways for sharing and promoting the club! Via Travel Points & Rovia Bucks to pay for their own travels in addition to commissions for those who chose to share! More travel for us. Thus the saying “making a Living, Living” – More Fun, Freedom and Fulfillment… You can learn more about the benefits right here! Any down sides to the DreamTrips Travel Club? This Travel club is not for you if you hate traveling in general, Air Travel, cruises, you cannot stand being in foreign surrounds. If you hate foreign cuisine, don’t like touring old world stuff…! It’s not for you if you prefer to pay Wholesale for your trips. Definitely not for you if you prefer Solitude and camping in the wild in your tent or RV, thus accessing 4-5* Hotels and real estate across the globe is not your kind of vacation idea. If you have no vision for your life and don’t wish to take your children on experiences they will talk about for years to come, then yes this concept may not be for you! That’s about all we can say, what may stop you from taking chances at more happiness, experiencing more, see more, do more and be more of who you want to be. Life is a Choice; one we make every day we wake up alive. And Yes not everything is for everybody so Yes the DreamTrips club is not for everybody. The DreamTrips Travel Club is either for you or its not…either way you are right! We hope we have sparked your curiosity to learn more about DreamTrips travel Club. You can discover more about it and the opportunity Here. Do you feel that the Dreamtrips Travel club is for you. Then You could be in for a Treat, joining a community of adventurers and world travellers who keep inspiring each other to greater lives and adventures, to See, Do and Be More! Where would you choose as a vacation destination? Like and share if you got value and drop a comment below. We do the research, Let us inspire you. Why not start by joining our blog tribe here and let us know your travel needs. I did belong to Dream Trips and cancelled my membership. They have significantly lowered the amount of points you can dont towards trips. They have also greatly reduced the dreamtrips you can take in the US. And raised the monthly fee. Even though it appears like your a good deal because all money goes towards points, it’s not because the amount your paying in will not be used since they significantly lowered how many of those points you can use. This entire article rambled. Make it more concise to improve your brand. It is not unbiased if you are stating facts and data. Was hoping for more truth. Sounds so interesting! Can you attach a link to reviews from those who have actually traveled via Dream Trips? Better yet, can you direct me to a a site with comments from those who just returned from travel? Looking forward to reading all about their experiences! I am Mr Tare Fiyai, principal consultant Vasteras Travels Port Harcourt, Nigeria. Australia, New Zealand, The European Schengen area, Canada, Ireland, The UK, Norway, Slovenia, Poland, Finland, and other countries in The European Schengen area, South Korea, Japan, Cyprus, Turkey, Bulgaria, Romania, Kazakhstan. I have a steady flow of applicants interested in the above -listed countries and can assure you of a rewarding and mutually beneficial business relationship between us. I can consider a quick trip to South Africa in early January 2018 by God’s grace to sign all necessary agreements. Kindly get back to me with specifics of the destinations(countries) you can conviniently handle. Yours sincerely Mr Tare Fiyai Vasteras Travels. Thanks for reaching out. While we are all about things travel, We are definitely not a Travel visa service. We wish you every success in your search for a worthy partner on that front! The one thing I don’t see in this article is the cost you had to pay for the trip when you took it and the cost of airfare. To simplify buying into this membership is the trips free since your paying a monthly cost or do you still have to pay for the trip and if you do have to pay for the trip what is the average cost in the US, Carribean, Europe?? Hey Hamilton, thanks for stopping by! We shared our thoughts, research and experiences without sugar coating it. 1. We haven’t paid for the membership since I cant even remember. Simply because we share with friends, colleagues and travel partners and with 4+ that fee goes away. We have over 350 amazing travel buddies and partners and counting! 2. Each trip is a unique experience including activities, transfers (for some), meals and even exclusive travel insurance (T & Cs apply) and as members we get to reduce the cost of any trip significantly. And by the way this is NOT Cheap Travel, Its An enhanced Lifestyle choice! 3. Every Trip has its own different character Hamilton. Simply because each city has its own style and cost of living. Plus each Hotel, resort and accommodation has different offers. All we have experienced is 4-7 stars and that’s what we share here on this blog. Our experiences! 4. Since we have taken various trips to various destinations, its kinda defeatist to start listing what we paid or didn’t pay. We state clearly that Airfare isn’t included. For the simple reason that this is a global club so different customers travel form different destinations with different airlines! These trips are NOT package holidays! They are Travel experiences. Pingback: Uganda the Pearl of Africa, More so Today and Why we will always Love Uganda! Go for it gal, Travel is just the most amazing thing ever. And We just know that every blessed day we Inspire someone to travel more! Did you know my husband works for a travel company? We are actually going on a month-long vacation this week. I am going to still try to do Pit Stop from the cruise ship. Thanks for bringing your post to the Blogger’s Pit Stop. That I didnt know. What an amazing thing to do, A whole month long vacay? We love doing those in December 6 weeks of pure being spoilt! Away from the UK Winter chill! So You get awesome Perks? We have quite a few Travel agents as club members and all said the same thing. They never ever got the benefits as travel agents that they get as Club members. I have never heard of Dream Trips before but it definitely sounds like something that would work for someone that travels a lot already! Dreamtrips works for someone who is Already traveling in their mind way before they start doing it. And of course for anyone who already travels and would love to enhance their experiences! Thanks for your time! I’ve never heard of this travel club before you review. Seems like a great option for those who travel a lot and I love that young people can also afford it! Great deal! Amazing quote by Marcel Proust “the real voyage of discovery consists not in seeking new landscapes but in having new eyes.” So true! DreamTrips sounds like a wonderful travel club & I honestly love the concept behind it. My husband travels a lot & one such service will be of great use for him on his business trips. I haven’t ever heard of this club. I will have to look into it when we are able to travel more. I’m not quite there from a medical stand point. I had back surgery a few months ago. Get well soonest We wish you a fast recovery and let the planet be your runway. You have earned it! Wow, this is an amazing and very detailed review, thank you for sharing. Thanks, Julie for this indepth review! Interesting! My parents have a Marriott timeshare, so that’s the one I’m most familiar with, but this sounds like an amazing deal! Sounds like a great travel club and great rates. I love the cause too. This sounds great for those that love to travel often. I hardly ever get to travel at all. I hope that some day I can go somewhere nice with my family. I’m glad they have this travel club for others though. I have never heard of Dreamtrips Travel Club either, but do agree that getting away from it all relieves stress. My problem is that the cost always caused more stress than it relieved. This sounds like it would be a great help with that. It’s nice when something is truly beneficial and not just too good to be true. I would like to travel with dreamtrips travel club, sounds like a great adventure is waiting for me. Thanks for sharing this. We are happy to schedule a chat and we see if its a good fit for you. Thanks for your time! What an awesome and very in depth review about DreamTrips! I didn’t even know about the others like Marriott or Hilton one, and their prices are INSANE. Thanks for sharing the review Julie! Thanks for letting us know about the Dreamtrips travel club, I honestly don’ t know about them until I read your post. Glad now you do and We are happy to help you learn more about it. Lets schedule a chat! That’s a lot of good information for such an underrated travel club. I believe I can avail of their services next time, the comparisons with the others sure make those costs a tad bit too much. Feel free to connect with us on Facebook and Let us Point you in the right direction! Indeed make next time amazing! Nice review , it looks an Interesting Product , I ‘ll try it for sure ! I haven’t heard of dreamtrips travel club and I am also not a traveller but in the future, I will consider looking into it. You might like to Share this with your parents, Saving money is always a good thing and The get to still stay at then Hilton, Marriott & other amazing Hotel Brands at a quarter the cost! No Black out days either! So the might like to consider it! I have never heard of this but it almost sounds good to be true! Will def. have to look into it more. It sounds like the travel club we’ve all been waiting for. I didn’t know about this travel club, at least not until now. Thanks for all the details and I would love to read more about it. This sounds like an awesome option for people who travel a lot. It could be a great way to save on family vacations and maybe even business trips. You hit the nail on the head and it does for us in both ways. We above all love the extended family we meet and have come to love on every trip! I have never heard of a travel club. I don;t travel enough to consider it, but it sounds exciting. I sure would love to travel more often. Pack ya passport lets go! Now this is a cool club! Everyone needs to know about this! [ Smiles ] Huh? If a member finds a trip at a cheaper price it is free? Now, that is a travel club to be part of! Yes it is Renard and its awesome when you get that refund. We know people that got thousands back Went on a 5* Vacation FREE! I have to say I’d never heard of DreamTrips before today, but I’m intrigued. I really like the volunteering platform that is part of the program and the affordability over other travel clubs. This is something I should definitely look into. I love to travel but it can be very costly. Thank you for letting me know about Dreamtrips Travel Club. This is an interesting concept. I am going to research more about it and see if I think it will work for us. Remember we do the Research, You get the benefits. We are happy to Help point you in the right direction!